One piece moulded seat and back polypropylene chair. 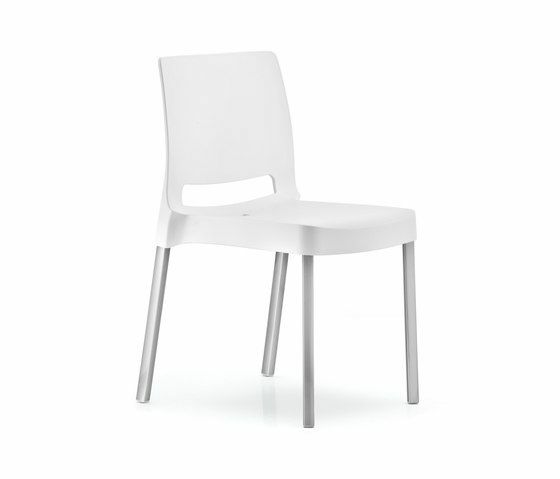 The legs are made in square satin anodized extruded aluminum with round edges. Joi can be equipped with a connector in aluminium to form rows of seats. It’s stackable and can be used both indoors and outdoors. On request available also in a fire retardant version (Class 1).